Iraq is reportedly mediating between Iran and Saudi Arabia to bring about an agreement that would lift crude prices, at a meeting of crude-producing nations in Algiers, Iraqi Oil Minister Jabar Ali al-Luaibi said. Iran on Tuesday rejected a proposal from Saudi Arabia to limit its oil output in exchange for Riyadh cutting supplies, dashing market hopes that the two major OPEC producers would find a compromise this week to help ease a global glut of crude. “Iraq is leading a mediation to bring the viewpoints of Saudi Arabia and Iran closer, in order to get out of the crisis and support oil prices,” said Iraqi oil ministry spokesman Asim Jihad, citing a statement from Luaibi, who is attending the Algiers meeting. “There are still some obstacles preventing an agreement,” he said, giving no further details. 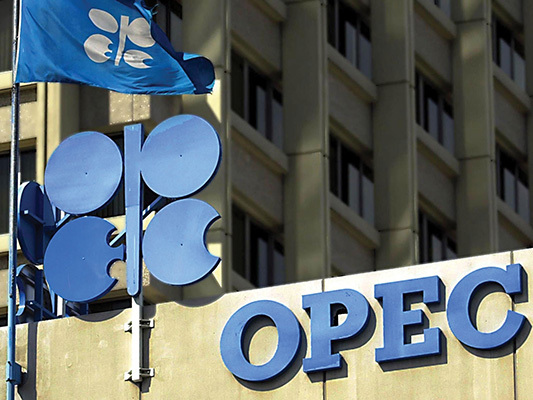 The Organization of the Petroleum Exporting Countries will hold informal talks on Wednesday in the Algerian capital, Reuters reported. Its members are also meeting non-OPEC producers on the sidelines of the International Energy Forum, which groups producers and consumers. The report came after Iran announced it has no intention to forge an agreement with other major crude producers to freeze its oil output at current levels. Iran’s Petroleum Minister Bijan Zanganeh told Bloomberg that the country is still determined to raise its crude production to pre-sanctions level of 4 million barrels a day. Zanganeh emphasized that the Wednesday meeting between member states of OPEC should focus on consultations on market issues. He added that the group could only reach a formal supply deal at its November meeting in Vienna. The Iranian minister talked to Bloomberg on the sidelines of the International Energy Forum in the Algerian capital. Top on the agenda of the Wednesday OPEC meeting will be a proposal by Saudi Arabia for producers to keep their oil output at January levels – what Riyadh believes will help stabilize the prices in markets. Iran has so far rejected the call to freeze its output as unfair and emphasized that it will go ahead with its plans to increase its oil production. Bloomberg emphasized that Iran – which it described as less dependent on oil revenues than Persian Gulf producers like Saudi Arabia – has seen its prospects boosted as a result of the removal of the sanctions. In Saudi Arabia, tentative moves toward economic reform have not prevented two years of weak prices causing financial havoc, it added. Saudi Arabia, Bloomberg said, is burning through foreign-exchange reserves, government contractors have gone unpaid and civil servants will get no bonus this year. The rising stakes of low oil prices appear to have already increased pressures on Riyadh. Reuters reported on Friday that Saudi Arabia has informed Tehran that it is ready to reduce its oil output provided that Iran agrees to cap its own output at its current level of 3.6 million barrels per day over the remaining months to the end of 2016. Tehran has reportedly already rejected the Saudi proposal.